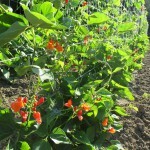 Scarlet Runner is one of the oldest runner beans, known as early as 1750. 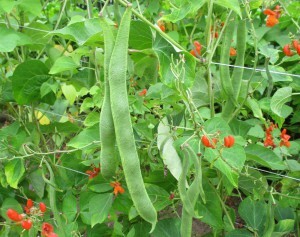 The young pods can be eaten whole, or the maturing beans can be eaten fresh like lima beans or used as a dry cooked bean. Many people grow them as an ornamental for their showy orange-scarlet flowers. Excellent plant for attracting hummingbirds. 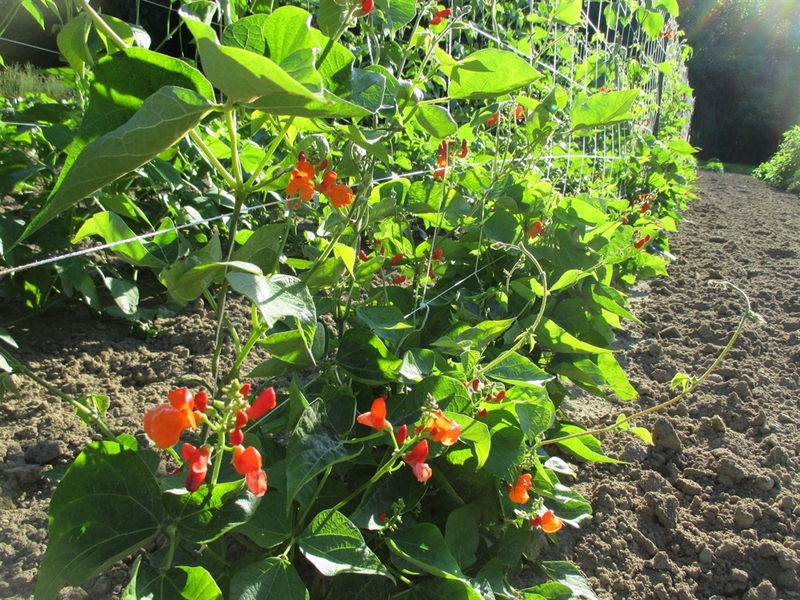 Not as productive in the north, as pole beans or lima beans. They prefer cool weather but I had no problems growing them here in Northern Indiana. They need a good trellis system as the vines can reach 10′. I direct seeded my plants at the very end of May (they could be planted earlier) and harvested my first mature dry pods September 1st. I continued to harvest weekly up until the first hard frost. They are perennial in frost free areas. 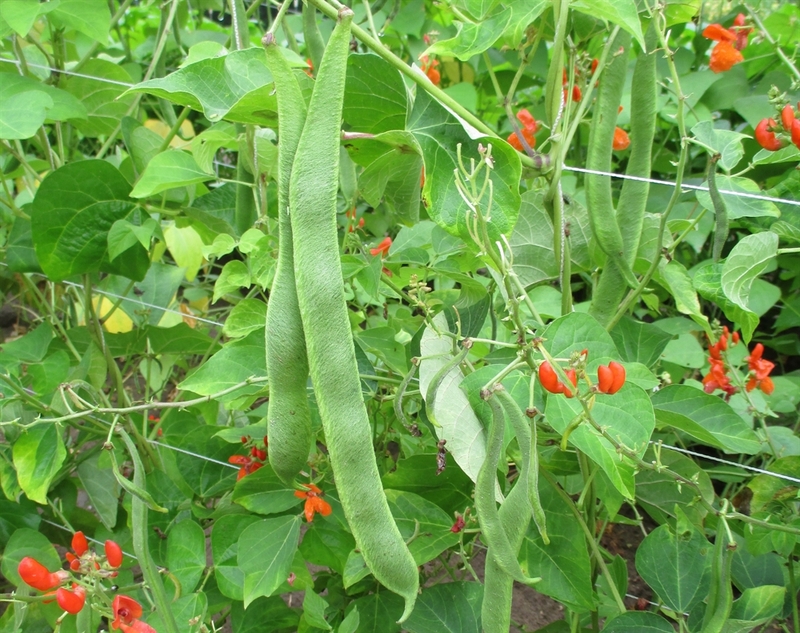 Seed Saving: runner beans will not cross with other bean species.